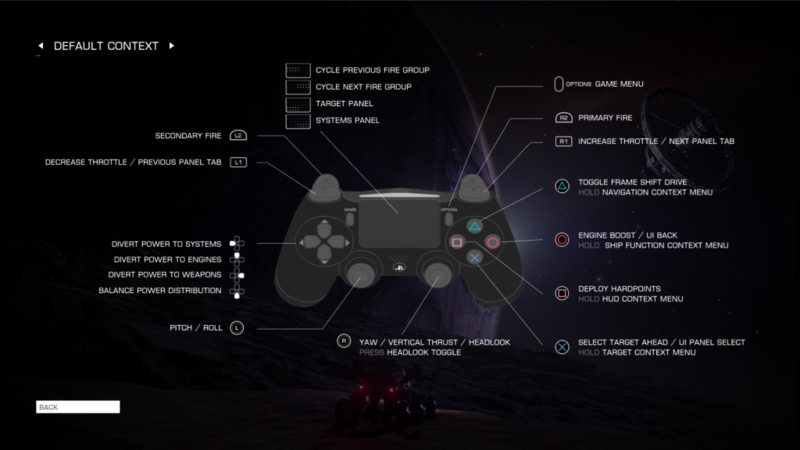 Elite Dangerous is a Space adventuring MMO which is also out for the Oculus Rift. I bought it during the Black Friday sale. You start off with a basic Sidewinder ship and make money by doing trading runs, fighting, upgrading your ship and taking on other factions. Elite was on the Commodore 64 and I played it once or twice but didn’t get into it. This one, looks INCREDIBLE when you play it fully immersed in VR! I had a few hiccups when I first started playing. I tried with the Oculus Touch controllers but the in-game tutorials seem to be geared more towards keyboard+mouse. I did figure enough to get going, tho. Later on, I tried with my Steelseries Stratus XL gamepad controller. 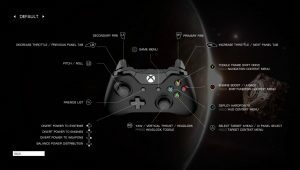 It took a while to figure out how to get it recognised in-game as a usable controller. I still have to work on memorising the buttons and button-combos to make things work. I’m only new and have plenty of time to learn. You need the Steelseries Engine software installed on Windows. Open it up and it will let you know if Windows can see the controller. You may have to turn the controller on/off many times slowly until the Engine shows it’s Connected! Now go into Big Picture mode in Steam on the desktop and disable “Generic gamepad support”. 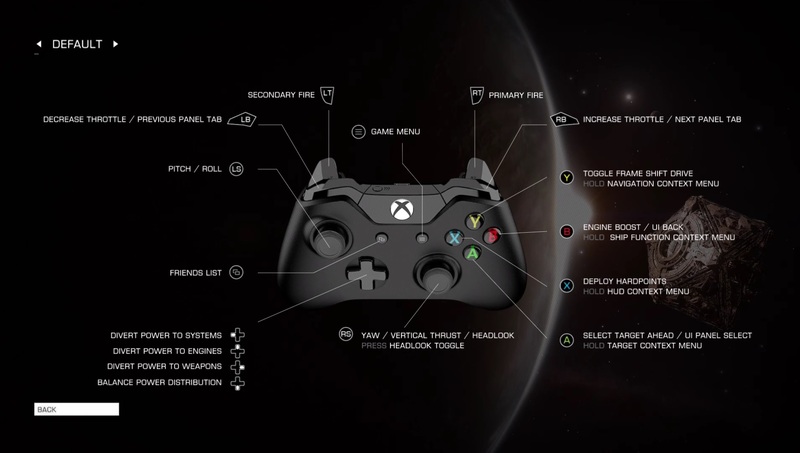 In-game you should now be able to select a controller. 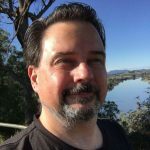 The best option is “Default Context”. 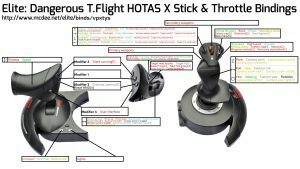 Now, you can play ED with the Steelseries Stratus XL. You need to press either one of A/B/X/Y and hold it down then use the Directional pad for the option required (eg. Activate the Supercharge thingy which has different names and is confusing hehe). Much better playing ED with a Gamepad controller compared to Oculus Touch controllers. All credit to Dr Mindcrime for the image above. I only put it on my site so it would not get lost. 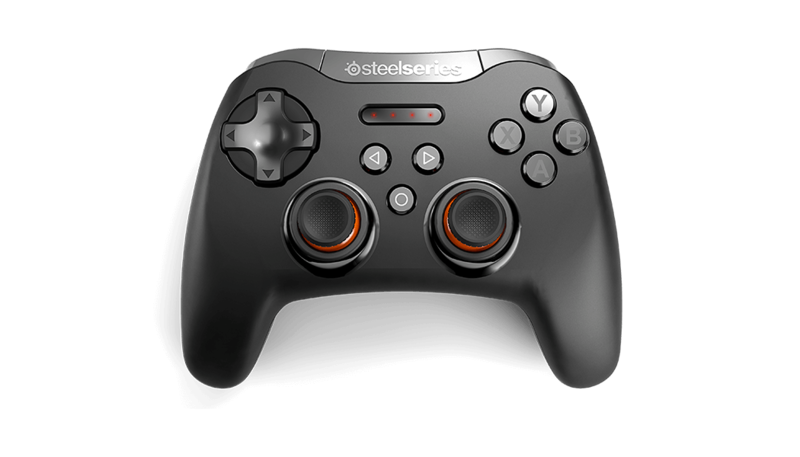 The button layout for the Steelseries is pretty much the same, only joysticks and D-Pad swapped around. 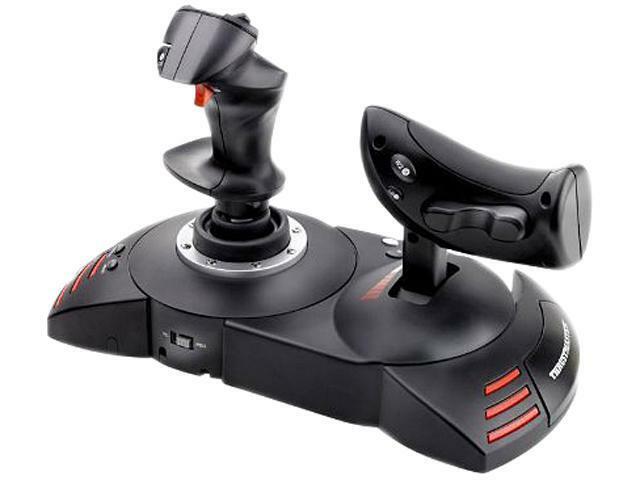 It’s apparently even better if you have a HOTAS. 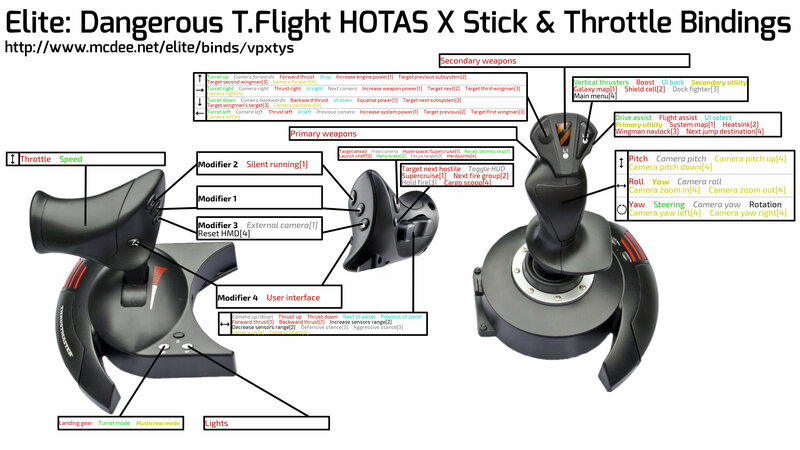 This is the one recommended to me if you don’t want to spend too much money (it’s about AUD$99 at the moment): Thrustmaster T.Flight HOTAS X.